This year, the Casa Ana Nadia kids had a Christmas season full of activities as we wanted to spend this time making memories together as a family. 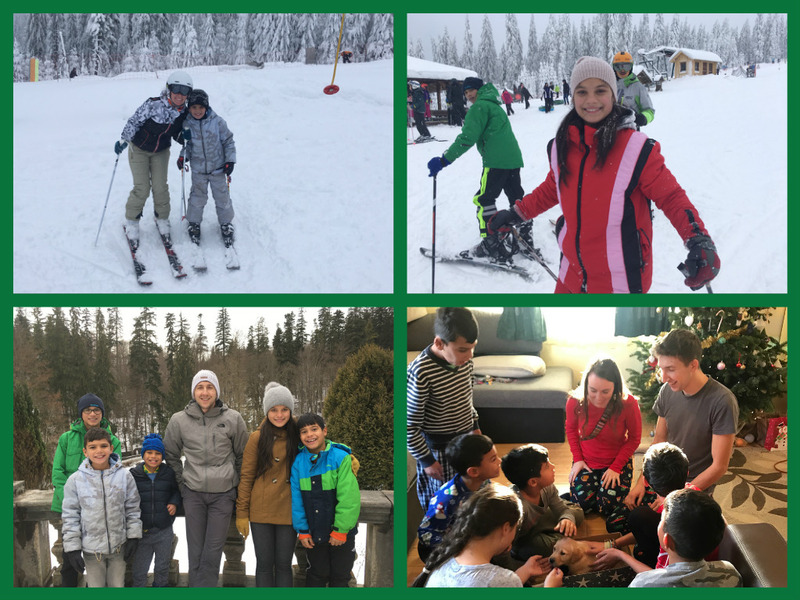 We went ice skating, caroling, sledding, and skiing. We also took a little trip to visit Peles Castle. The kids participated in Christmas programs at school and church as well. The highlight of Christmas this year was that the kids received a dog. We made a scavenger hunt Christmas morning that the kids had to complete to find the dog, and they were full of enthusiasm as they were racing from one clue to the next. The joy on their faces when they realized their gift was a puppy was absolutely priceless! The kids named her Maya and love having her around. It has also been a good learning opportunity for them, as they learn to help take care of her and how to treat her with gentleness. It was so nice to have the time to spend together, having fun and doing things we don’t normally all have time to do together. We feel refreshed, grateful for God’s many blessings in our lives, and looking forward to the New Year!